In b4 Green Gecko's essay on the poor colour choices. I hate the glitchy bits as well. I've still not properly watched the walkthrough video, I want to go in to this one blind, so I can't comment on specifics but given the progression in quality of their previous work, culminating in the truly special Witcher 3, I am confident that CDPR will produce something wonderful here. The dialogue and characterisation in TW3 was almost universally fantastic so despite some slightly worry reports on those aspects I'm willing to give them a pass for now. That magazine cover is horrible, but they have to stand out on the shelf and it'll certainly do that. New gameplay trailer, spring 2020 release date reveal I reckon. 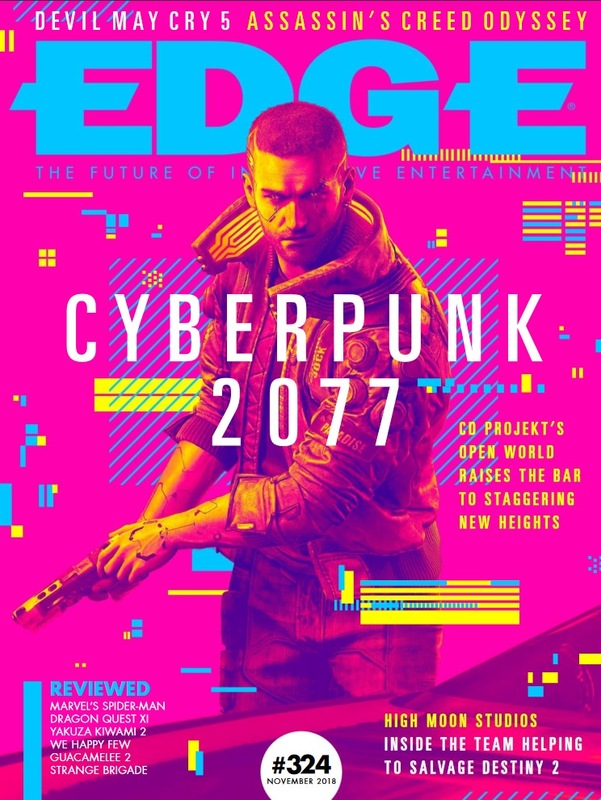 That Edge cover is horrendous. Cannot wait for this, although I probably will need to do a PC upgrade before it does finally arrive. Getting pretty hyped for E3 this year! Cyberpunk will again be on the Xbox stage then. I’ve not been following this but is there any chance it won’t make current gen? Tomous wrote: I’ve not been following this but is there any chance it won’t make current gen? Possibly but I believe they demo'd it on Xbox One X or at least representative of. It’s running on a high-spec PC. It’s the next generation of our own proprietary engine – and speaking frankly, we’re still working on the rendering so I hope we can get more [out of it]. The current gen consoles are really powerful, especially talking about Xbox One X and PS4 Pro. We’ll do our best to maximise for those, but it’s too early to say exactly what we can achieve – and the PC version will always be above that, because it’s constantly upgraded and improved in terms of the hardware we can gain access to. But it should look great on current consoles. I only got my PC last year, but I'm already thinking about what I'll need to upgrade to get this running nicely in 4K. Probably need to bump up the graphics card to one of the newer Geforce cards. As a bonus it will free up my current 1080 to put into another PC build. If I can get 30-40fps at 1440p with my 1070, on or around high quality, I'll be happy. Might need to pick up a 1x for this.